La Olla Expréss is a Cultural Association, whose main purpose is to publish books and CDs in several unusual formats. It publishes and promotes artists characterised by their compulsive and original creativity. As well organizes the International Music Festival No No Logic. 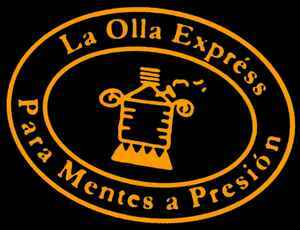 "La Olla Exprèss" means "Pressure Cooker"
The Motto of the label is "Para Mentes a Presion" that means "For Under Pressure Minds".